The Gordon is a four bedroom traditional style kit from Metkit homes. It is, in my opinion, the better plan of 5 similar 4 bedroom plans offered by this provider. Better, due to the addition of an ensuite and walkin robe for the master bedroom. These five designs are all gable roofed and have a full verandah across the front of the house. This design combines the laundry, WC and bathroom in one precinct and although not strictly an open plan, has open attributes in the living areas. 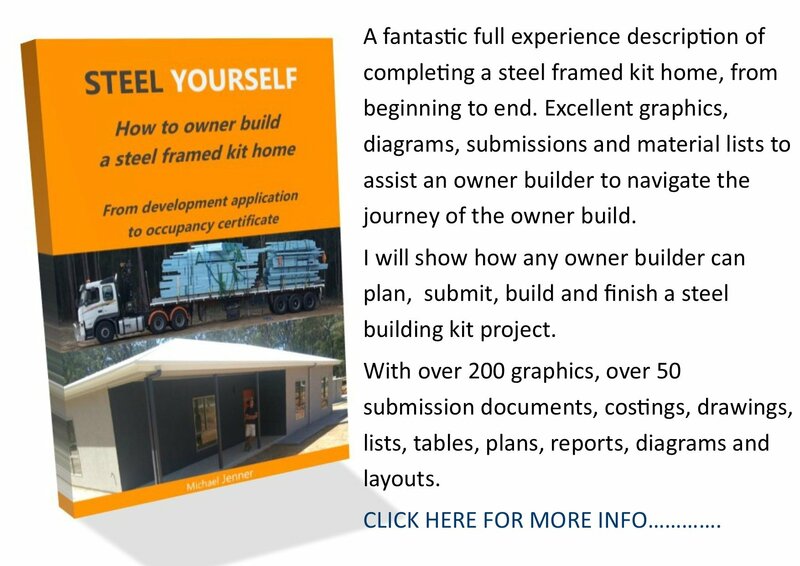 This plan is crying out for a rear verandah, and like most kit providers, Metkit has upgrade options and an online setup to play with the plan detail. 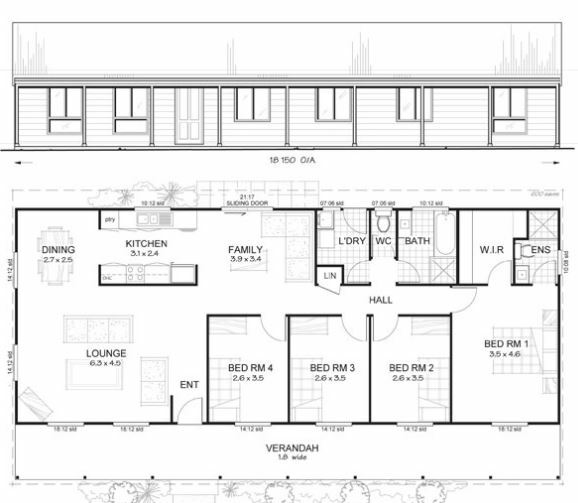 This plan has an area of 130.7sqm and 179sqm including the covered verandah. It is priced at $81,670 for a full kit that includes internal linings, doors and wardrobes. But also includes PC items: stove, oven and rangehood, toilets, bathtub and laundry tub, gas water heater, as well as a full kitchen with mixers, vanities, wet area waterproofing membrane, plumbing kit, tile allowance and electrical kit. See the web site for specifics....but that is a great deal. You can find the Metkit homes site here. 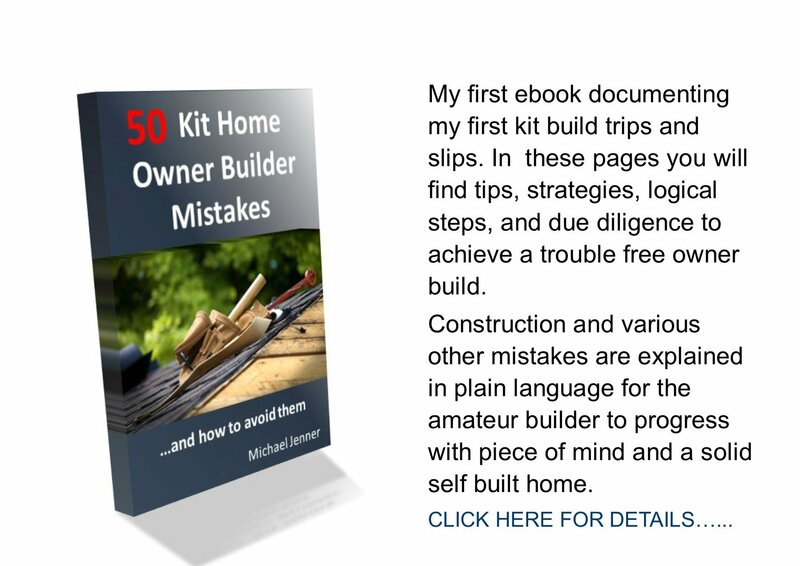 Go to more Kit floor Plan Reviews or return to Kithomebasics home page.